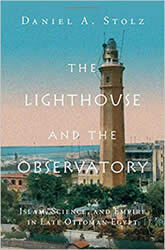 An observatory and a lighthouse form the nexus of this major new investigation of science, religion, and the state in late Ottoman Egypt. Astronomy, imperial bureaucrats, traditionally educated Muslim scholars, and reformist Islamic publications, such as The Lighthouse, are linked to examine the making of knowledge, the performance of piety, and the operation of political power through scientific practice. Contrary to ideas of Islamic scientific decline, Muslim scholars in the nineteenth century used a dynamic tradition of knowledge to measure time, compute calendars, and predict planetary positions. The rise of a ‘new astronomy’ is revealed to owe much to projects of political and religious reform: from the strengthening of the multiple empires that exercised power over the Nile Valley; to the ‘modernization’ of Islamic centers of learning; to the dream of a global Islamic community that would rely on scientific institutions to coordinate the timing of major religious duties.